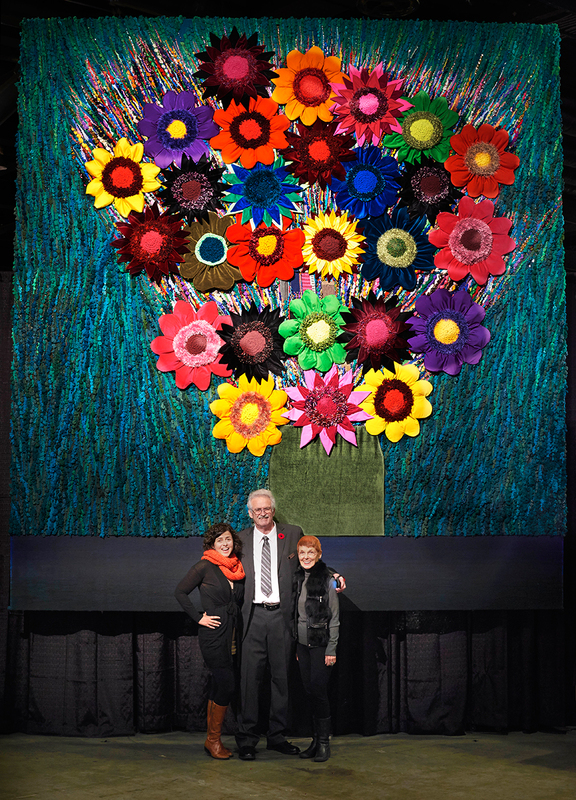 The Flower Power Tapestry is a result of Sola repurposing one of her older tapestries of the City of Atlanta, and turning it into a huge vase of 3-D flowers. The original artwork was created almost two decades ago to celebrate the 1996 Olympics in Atlanta. 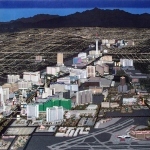 “While displaying the Las Vegas Tapestry at the Santa Fe Art Fair, l realized that it was very rewarding for me to see the big smiles when people saw it. 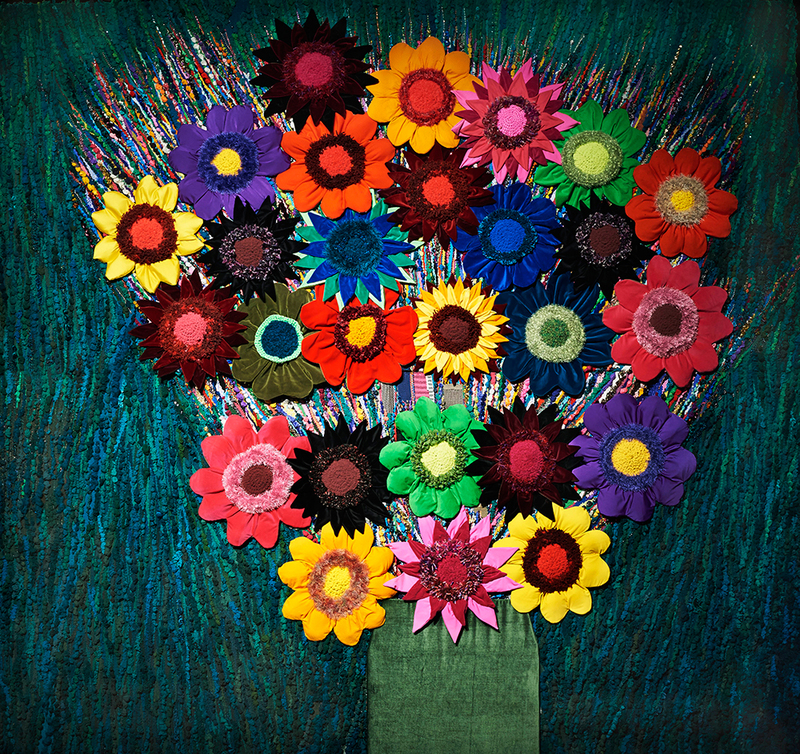 So l hope Flower Power will put a smile on everyone’s face and brighten their day,” says Sola about the inspiration for her recent work, which is made out of recycled sweaters and other fabrics. She hopes to find a permanent place for her piece where it can continue to put a smile on people’s faces.